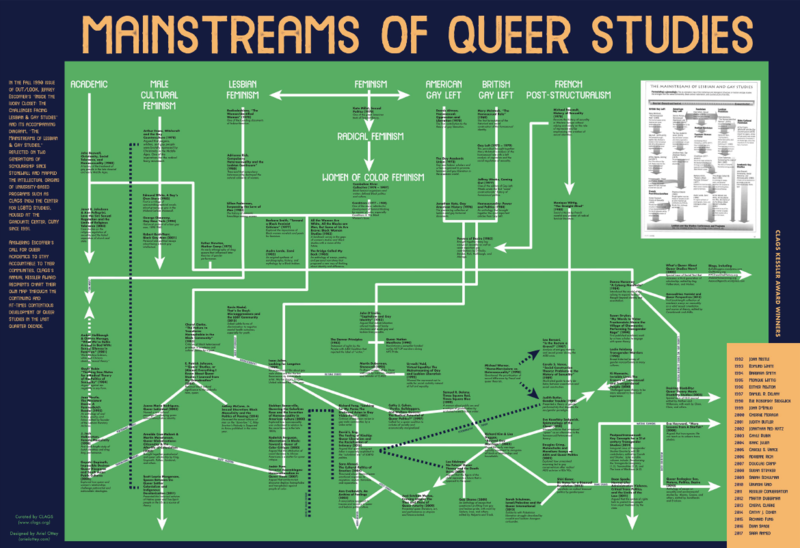 CLAGS responds to “The Mainstreams of Lesbian and Gay Studies” diagram that accompanies Jeffrey Escoffier’s essay, “Inside the Ivory Closet: The Challenges Facing Lesbian & Gay Studies,” by visualizing the dynamic and at-times contentious development of LGBTQ Studies in the years since OUT/LOOK issue 10 (Fall 1990). Charting a map through this quarter-decade is the scholarship of CLAGS Kessler honorees and others who have answered the call for queer community-based intellectuals. 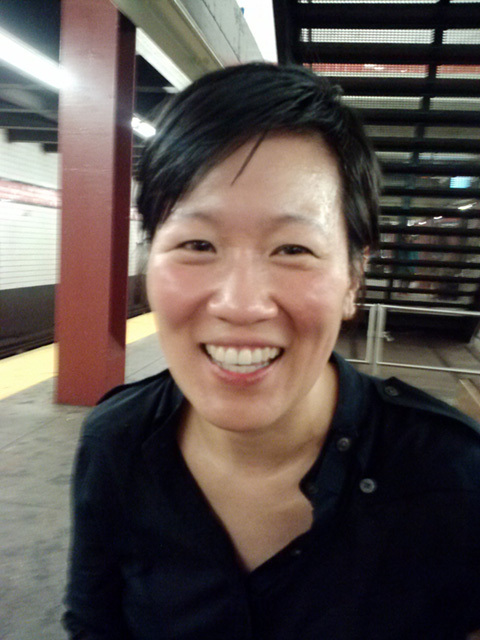 Stephanie Hsu is a CLAGS board member, a co-founder of Q-WAVE (a grassroots organization for women and trans* folks of API descent in the tri-state area), and an Associate Professor of English at Pace University in New York City. Hsu identifies as a bisexual and queer, Chinese/Taiwanese American woman who grew up in Atlanta, GA, and she teaches and writes on Asian American literature and queer theory. She is honored to be joining the inaugural advisory team for Q Public, a new book series in the spirit of OUT/LOOK, edited by E.G. Crichton and Jeffrey Escoffier and published by Rutgers University Press. The Center for LGBTQ Studies (CLAGS) was founded in 1991 as the first university-based research center in the United States dedicated to the study of historical, cultural, and political issues of vital concern to lesbian, gay, bisexual, transgender, and queer individuals and communities. CLAGS is housed at The Graduate Center, CUNY and is a member-supported organization that maintains a broad program of public events, fellowships, online projects at www.clags.org.